W.D. Dobson was born November 27, 1848 and raised on a farm near Tusculum, Greene County, TN. 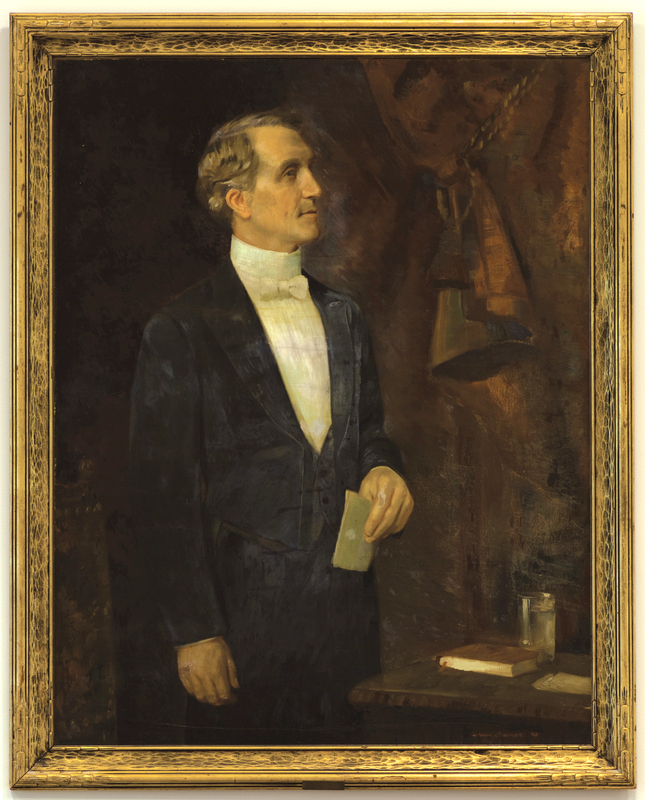 His secondary education was interrupted by the Civil War, but he returned to school in 1865 to complete his college preparatory work at Tusculum College Academy and, in 1870, to receive a Bachelor of Science with Distinction from Tusculum College. He then studied law for two years, was admitted to the Bar in 1872, and moved to Grundy County, MO with the intention of setting up a law practice. He took up the teaching profession instead. From 1872 until 1891, Dobson was a teacher and administrator in several of Missouri’s public schools. He taught at Lindley for a year then went to Trenton where he served as Assistant Superintendent, 1873-75, and Superintendent, 1875-80. In 1880 he accepted the Superintendency at Carrollton and remained there until 1890; the last six years there he also served as Carroll County Commissioner of Education. He then became Superintendent at Moberly but was there for only one year before being elected President of the First District Normal School at Kirksville in 1891. Dobson resigned his presidency in 1899 but remained on the faculty for an additional year as Professor and Head of the newly created Department of History and Government. When he left the school in 1900, it was to enroll in the American School of Osteopathy in Kirksville. He received his Doctor of Osteopathy in 1902, joined the ASO faculty as Professor of Chemistry until 1906, then moved to St. Louis to open his own osteopathic practice. His son Walter later joined him in that practice. When he retired in 1930, he returned home to Greeneville, TN where he died February 23, 1932. Dobson was active in the Missouri State Teachers Association during his public and normal school years and served a term as President of that organization in 1890. He was honored by Tusculum College, his alma mater, in 1878 and again in 1893 with honorary AM and LLD degrees in recognition of his professional ability and success as an educator. His memorials on our campus include a residence hall, Dobson Hall, and his portrait in the Presidents Gallery. William Davis Dobson and Mantie Julia Britton of Greeneville were married July 5, 1878 and had three children, Anna Pauline, Walter N. and R. Britton. Brashear, Minnie. Prof. W.D. Dobson, A.B., A.M. Typescript, 1891. Truman State University Archives.